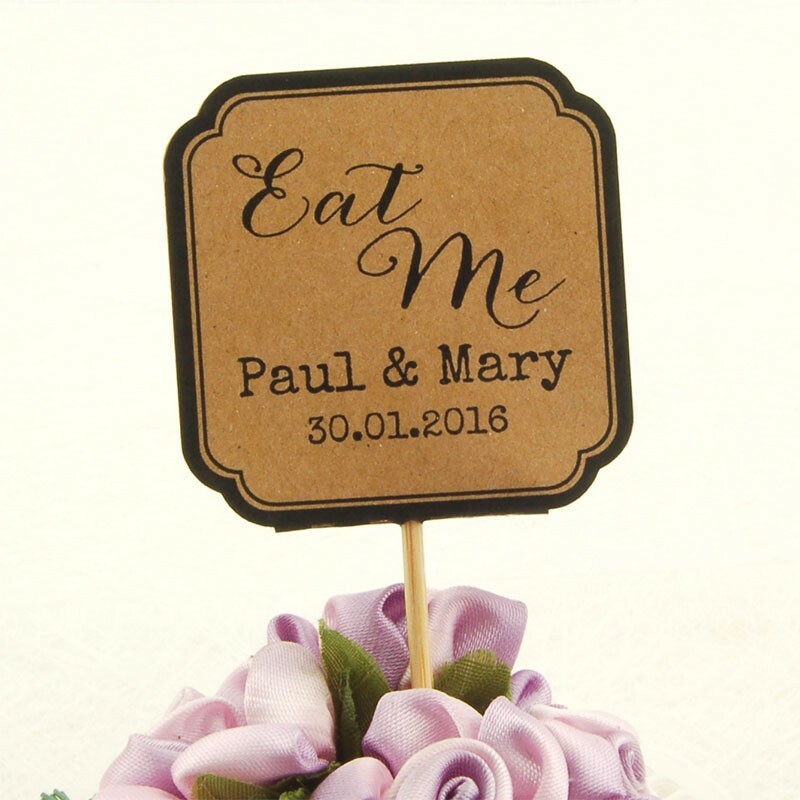 Home > Gifts & Cards>DIY Personalized Double Sided Kraft / White Wedding Cupcake Toppers "Eat Me"
DIY Personalized Double Sided Kraft / White Wedding Cupcake Toppers "Eat Me"
You will receive personalized Eat Me cupcake toppers in the material and lot size of your choice. 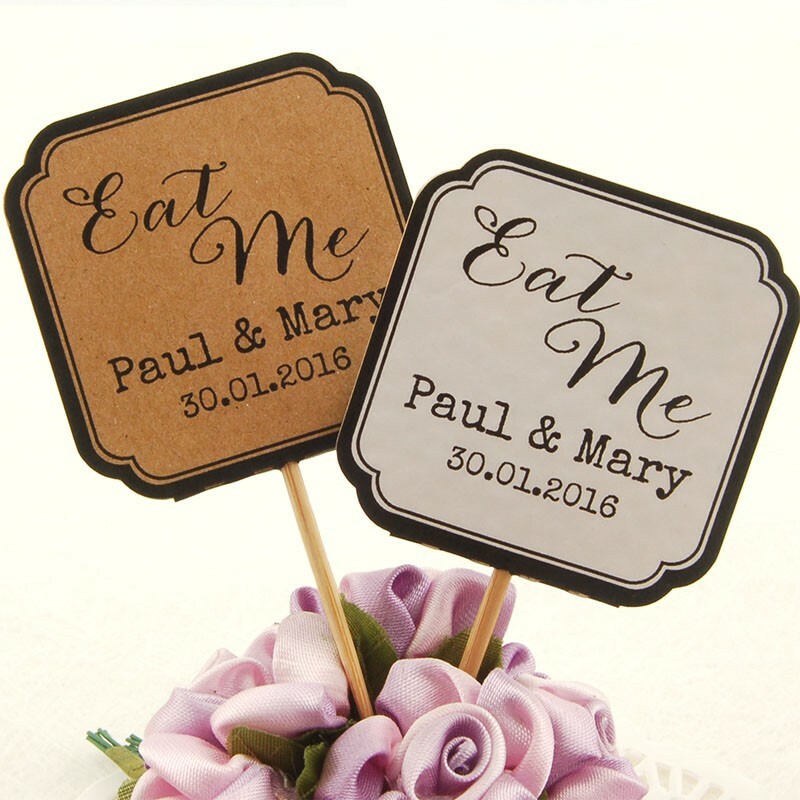 The toppers come with skewers measuring around 64 mm (2.52 inches) in length, while the cards are 46 mm x 46 mm (1.8" x 1.8") and made using 250 GSM (170 lbs) white premium hammered card or kraft card. 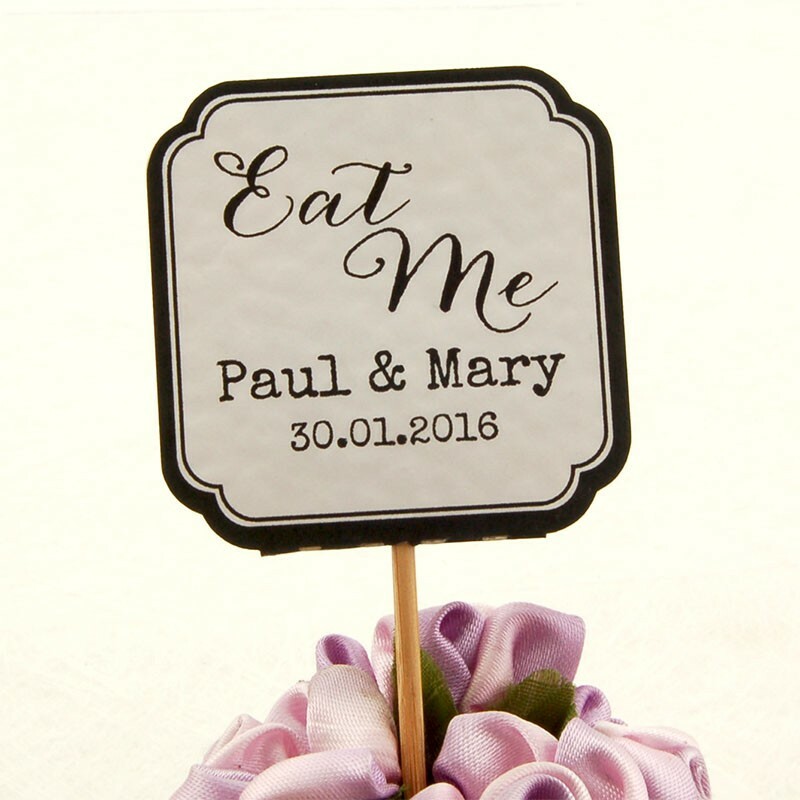 These DIY cupcake toppers are double sided with folding lines at the center, and a hole to facilitate the skewer. The design makes the assembly work fun and simple. 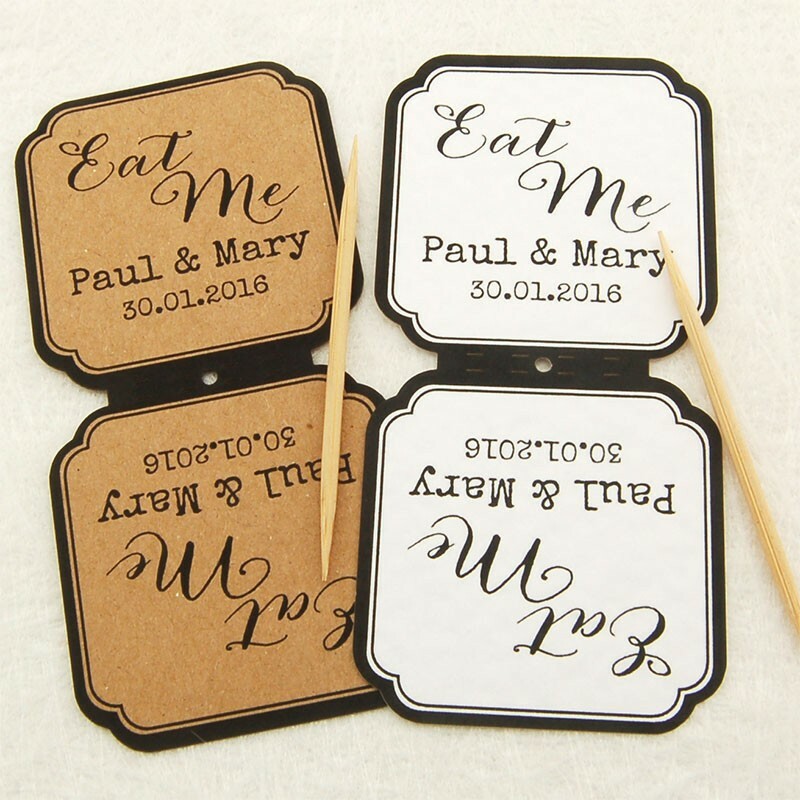 The skewers come separately in the package and can be attached to the card with double-sided tape or glue.